* ... OLD GLORY: Steve McCalley wrote in response to an early reader's complaint about American flags being made in China. 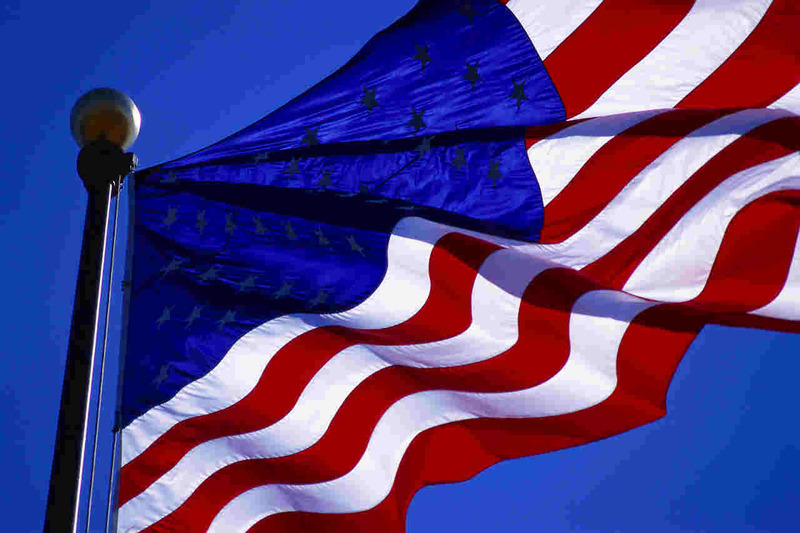 "I have purchased my flags at Congressman Kevin McCarthy's office for several years. Made in the USA for under 20 bucks." Mary Helen Barro added that American-made flags are also on sale at Floyd's and Supply Sergeant, and reader Pat Mahan said Orchard Hardware Supply also has flags made in the USA. * ... FREDDIE'S: An earlier blog about Freddie's Top of the Hill drew this response from reader Gene Bonus. He noted his Garces class of 1957 had its 10-year reunion there because a classmate, Bradley Paola, was a nephew of the original owner. 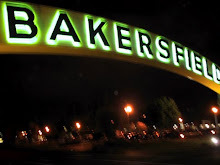 "One of the most famous watering holes in Bakersfield at that time was Amestoy's On the Hill. That place was always jumping. Amestoy's served excellent lunches and it was the place to be, especially on weekends. After being separated from the Navy and having returned to college (Bakersfield JC and Fresno State College extension) I spent many days at Amestoy's studying. 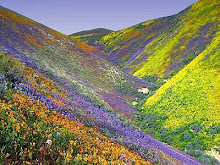 According to legend, Mr. Paola named his place Top of the Hill since Frank and Marie Amestoy already had On the Hill." * ... MORE FREDDIE'S: Phillip Beltran grew up in Oildale where he went to North High, moved to Santa Clarita and was back visiting his parents when he read my blog about Freddie's. He noted that his father, Ray Beltran Jr., used to work for Freddie Giovanitte at the Skyway House restaurant out at Meadows field. "You also had a reader mention the Rio Grande service station at the corner of Roberts Lane and Chester. I don't know how many of your readers recall Sandy's Drive In at the east end of Roberts Lane before the extension of Manor Drive was completed. Sandy's sat facing west where that intersection came to a T.... Life as a child in Oildale was carefree and fun. We didn't have cell phones but our parents never worried where we were. Our time to come home was before the streetlights came on. Thank you for publishing memories in your column." 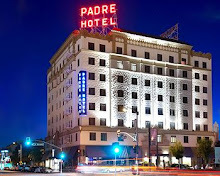 * .... LAST WORD: And there is this from John N. Mixon: "Don't believe in beating a dead horse, but couldn't resist mentioned that you are really an old time if you remember when Freddie had a small restaurant at the Garces Circle and later at the airport before Top of the Hill. Also was the victim of an unsolved murder." * ... TAX ATTORNEY: Mark Allison, a Foothill High graduate who went on to graduate from Claremont McKenna, has joined the law firm of Caplin and Drysdale in New York. Mark is the son of Bob and Heidi Allison. He earned his law degrees from American University and New York University. He will be a New York based member in the tax controversies and tax litigation unit. 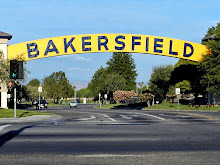 * ... BAKERSFIELDISM: From reader LaVone Walker: You know you're from Bakersfield if you remember when there was a train, zoo and bumper cars at Hart Park.